PRESS RELEASE: Now in its 10th year, RhythmFest (formerly the Bath Rhythm Course) is the biggest event of its type in Europe. 2010 sees a change of location to Cheltenham but still expect top artists, wide-ranging classes, interactive workshops and exciting performances. Everyone joining the week -whatever their standard- will come away a better and more rounded player, with bags of inspiration, better technique, new ideas and new friends! The days feature a mixture of group workshops, tuition with some of the UK's top teachers and masterclasses with international artists. This year RhythmFest have some very special guests covering a wide spectrum of styles and approaches from Metal to Jazz. Karl Brazil, Karl is one of the U.K.'s most respected session musicians. From James Blunt, Natalie Imbruglia and Feeder to now being in the drumseat for Robbie Williams shows his precision, power and personality has paid off. Dave Mackintosh, Dave brings the extreme prog-metal of Dragonforce to Rhythmfest. Known as the "Compact Dynamo", Dave will be covering extreme metal, blast beats, double kicks and showmanship. 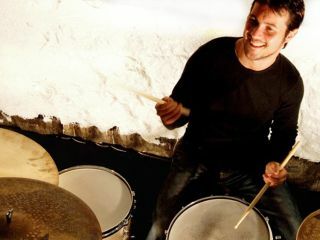 Jerry Brown, Jerry is an incredibly versatile drummer having played with a variety of top jazz, pop and gospel acts. He has appeared on tours with the likes of Tina Turner, Angie Stone, Incognito, Will Young, Girls Aloud and Belinda Carlise to name but a few. Gary Husband, Summarising the career and credentials of Gary Husband is a near-impossible task! Suffice to say that there are few musicians quite as accomplished as Gary whether it be on drums for John McLaughlin, Allan Holdsworth, Level 42 or on piano with Billy Cobham or Vinnie Colaiuta. Troy Miller, Troy is one of the UK's leading new lights, already having Roy Ayers, Jean Toussaint, Mark Ronson and Amy Winehouse on his CV. Once again we are privileged to have some of the UK's top tutors available throughout the week for both scheduled lessons and ad-hoc personal sessions including: Colin Woolway, James Hester, Erik Stams and Mark Whitlam.